This spring, George Fox was awarded a generous $50,000 challenge grant to support the university’s Student Fund. This matching grant from the Maybelle Clark Macdonald Fund, a private Oregon-based foundation that supports the good works of Oregonians, will match every new gift and increased gift of $500, $1,000 or $2,500 made to the George Fox Student Fund by Dec. 31, 2017. The Student Fund helps provide a life-changing George Fox educational experience for our students. Gifts to the Student Fund help provide students the opportunity to participate in athletics, performing arts, campus ministries and other student activities; engage in cross-cultural experiences like Juniors Aboard; discover their vocational calling and prepare for their chosen career field; and experience exceptional life outcomes that will impact the world! 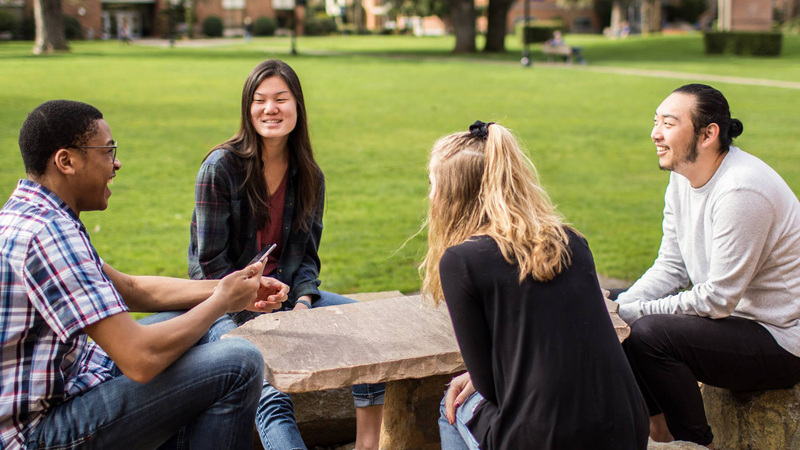 Current supporters of the George Fox Student Fund can have their gifts matched by increasing their commitment to take advantage of the challenge. Additionally, new gifts over $1,000 qualify donors for the university’s President’s Council. Traditional undergraduate alumni from the past 10 years who participate in this challenge with gifts of $500 or more will also be recognized as members of the President’s Council. Make a gift to the Student Fund today! Our students will benefit, and you will have the satisfaction of knowing that the impact of your gift has been doubled.